TORONTO – Cisco Systems Canada is done with complicated meeting rooms. The networking giant has introduced the Cisco Spark Board and Cisco Spark Meetings. 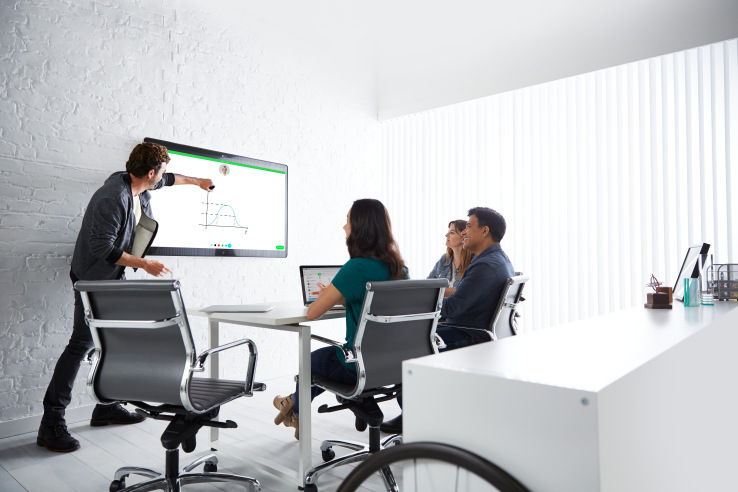 The Cisco Spark Board is the company’s new all-in-one meeting room device built around the Cisco Spark platform. According to Cisco Canada executives, it would ideally replace whiteboards, prompters, etc. And, it can be controlled by a smartphone, tablet, PC, or any device that has the Spark platform on it through ultrasound wireless pairing technology. It will be available in 55 and 70 inch sizes, and features a touchscreen and 4K cameras as well. The 55 inch is priced at $6,586 and the 70 inch will be priced at $13,186 when it is released later this year. On top of the Spark Board, you will also have to pay for the Spark Flex software plan for $262 per month. A $223 per month three year pre-pay option is also available. To use the Spark Board, the company has introduced a new upgrade to the Spark platform called Cisco Spark Meetings. The new upgrade takes the meeting functionality from Cisco WebEx and extends it into the time before and after the meeting. Whether it be on the Spark Board, or on any device with the Spark platform, everyone on a team will be able to view and share files, chat, etc. – anything a team would need to arrange a meeting, take part in the meeting, and continue to work on a project after the meeting is over. Cisco is targeting both enterprises, small businesses, and education organizations with the Spark Board, believing that the price point is the best selling point. Cohen describes the sales pitch as “low hanging fruit”. For those smaller, 20-person offices, they not have the access to the type of tele-presence technology that might have been out of reach beforehand. For enterprises, this is an opportunity to fit those smaller conference rooms with the technology they might have only been fitting into those larger “gold” level rooms. Other selling points mentioned by Cohen include the ease of setup. The Spark Board can be shipped and installed without needing to send someone along to install it. Anyone can take it out of the box, screw it into the stand, place it on the wall, and go through the 90 second activation process. 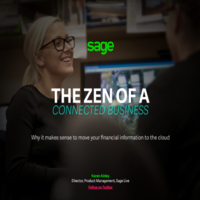 Additionally, the fact the multiple payment options give marketing teams more opportunities to make a sale. Hard to get someone new up to speed. Time consuming to escalate to an adhoc meaning. Spark Meetings supports open APIs and SDKs, giving developers the opportunity to create whatever bots they would like for the platform. The example shown to the press was an expense invoice butler, that would allow users to file expenses just by taking a picture and letting a bot handle it. Cisco decided to use the entire Spark platform for the Spark Board and new upgrades in order to make use of Spark’s security. Since everything runs on the Cisco cloud, businesses may be hesitant to use any new whiteboard features that would place business secrets and strategies on a hack-able cloud. To counter that, Cisco encrypts the data on the client before it goes to the cloud, so that even in the case of a data breach, the only data taken would be encryption IDs. The security of Cisco Spark is something that customers respond too, according to Cohen, and Cisco is banking on that response once more.